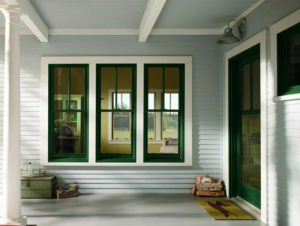 Are you ready for new windows that will better protect or insulate your home in Rapid River, Michigan, or a surrounding area? Local homeowners understand how much energy is wasted during the winter and summer months so if you’re tired of dealing with old windows that force your HVAC system to work hard to maintain a stable temperature, turn to the experts at The Window Store. All of our windows are made with impressive Low-E coatings and foam-filled frames to maintain a stable temperature throughout the entire year. In addition, at The Window Store, you can feel safe that the work our installers perform will be completed correctly the first time because we only utilize highly-trained professionals for each installation. And, we stand by their work so much that we offer a two-year labor warranty that will allow you to feel confident knowing your investment is protected in the unlikely event that something were to go wrong. To learn more about the impressive new windows that we offer and install for homeowners in Rapid River, MI, and the surrounding communities, contact The Window Store Home Improvement Center today. Make sure to ask about all of the other home improvement products we can install at your home including doors, siding, patio structures, gutters, and more.